Saturday, June 21 from 10am – noon or Tuesday, June 24 from 2-4pm. We’ll be making 4 cards with matching envelopes. I’ve pulled out some of my new things to create this card. 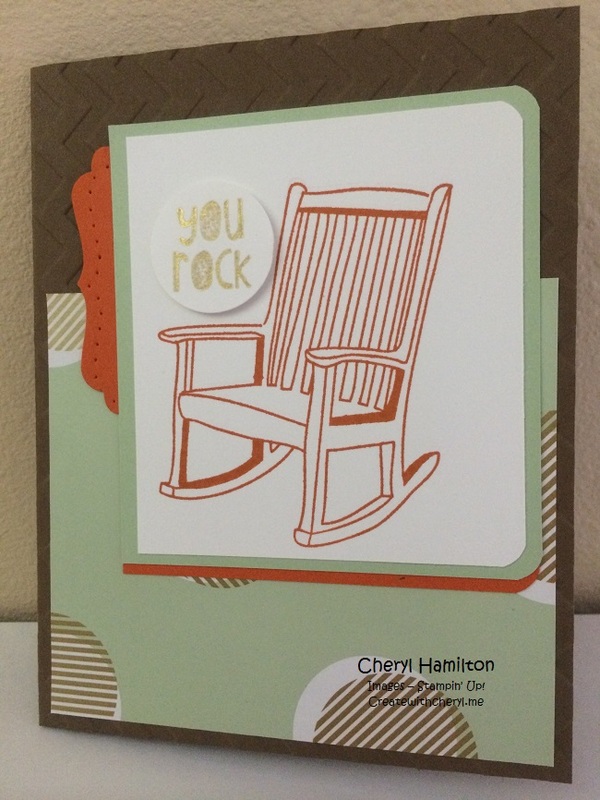 The rocking chair is a stamp called “You Rock”. So cute!! And I just LOVE the new Gold Soiree DSP! 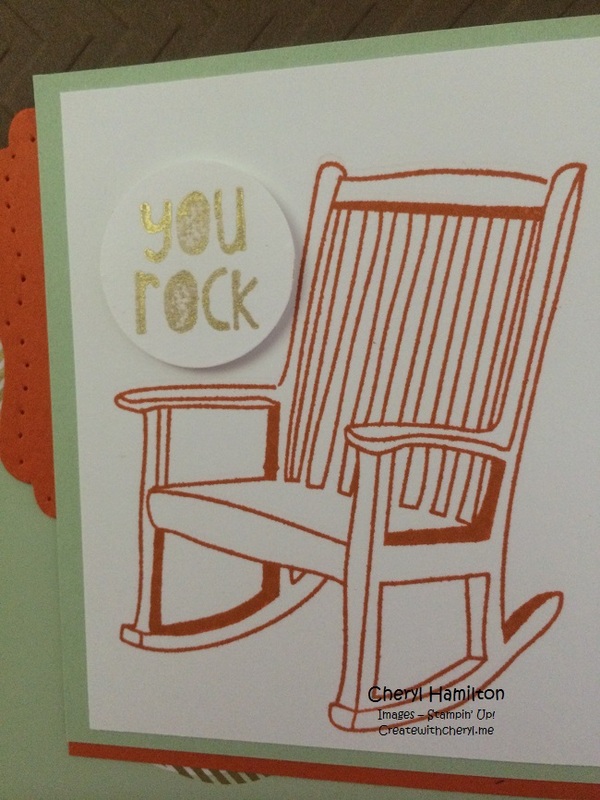 This rocking chair looks just like the one I sat in many, many nights rocking my babies. I’ll be sending this to my daughter, Jenny, who did something very courageous last night to help out a stranger in need. I don’t want to share the details except to say that I’m very proud of her!! SHE ROCKS!! Please RSVP for the class & let me know any card requests you have!